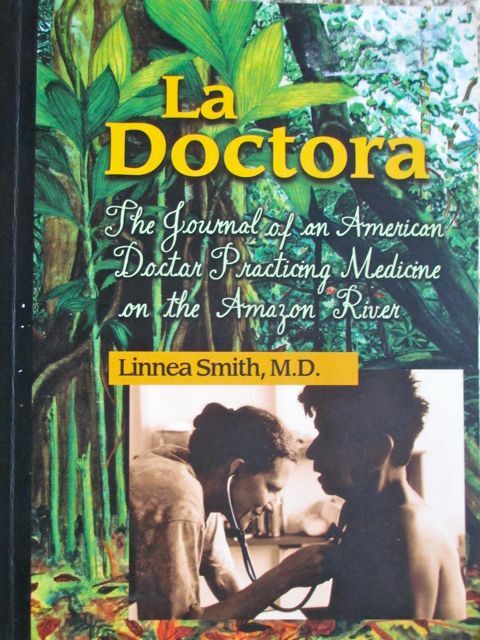 American doctor Linnea Smith, “La Doctora”, operates a clinic for Yagua Indians on Peru’s lower Napo River, a tributary of the Amazon. The ex used to see some documentary or travel show on TV and decide we had to go there. The show he saw wasn’t about La Doctora; meeting her was a bonus experience on our trip up the Napo River. (Here's a sketch of her from my art journal). Dr. Linnea Smith went to Peru in 1990 on an ecotourism vacation. She responded to the need for medical attention—much greater here, she thought, that at home in Wisconsin—by returning alone to start a clinic out in the middle of the jungle. 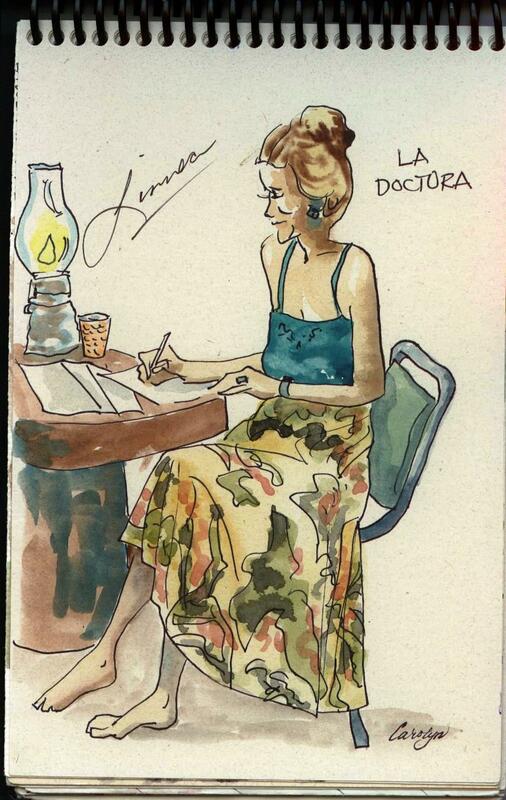 In the beginning, La Doctora practiced out of room number 2, just past the dining room at Explorama Lodge. The ecotourism lodge donated the room and her meals. Then came the (on-going) challenge of finding supplies and medicine. Over the years, tourists at Explorama Lodge have “muled” supplies, a Wisconsin non-profit foundation—the Amazon Medical Project, Inc.—was established, and a Wisconsin Rotary Club raised funds to build the expanded Yanamono Clinic that operates today in this remote corner of the Amazon. Local challenges La Doctora deals with almost daily are the seasonal levels of the river—affecting travel—and the sometimes personal predilections of the Yagua Indians for their own shamans instead of modern medical treatment. Over the years she has learned to work in context with shamans. Another ongoing challenge for her is to keep a Peruvian doctor working at the clinic. Especially now that she has a boyfriend, Jerry, and makes more frequent trips back to Wisconsin when he can’t come down to the Amazon. Today she sees as patients men and women she treated as babies. 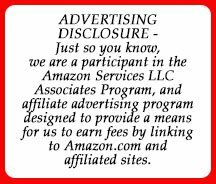 Through the Amazon Medical Project, Inc., La Doctora is also supported by the Grand Circle Foundation and regular donations by former visitors like us. If you'd like to read more about Linnea Smith's amazing adventures, CLICK HERE to order her book in paperback. CLICK HERE to order it for your Kindle. Tomorrow’s AtoZ Challenge: For the letter E I’ll tell you more about Explorama Lodge on the lower Napo River, a tributary of the Amazon, near Linnea Smith’s Yanamono Clinic.